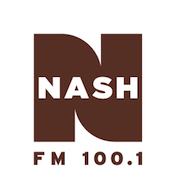 Update 10/8: Christmas came early to Columbia as 100.1 KBBM flipped to Country “Nash-FM 100.1” this morning. Tim Murphy, afternoon host at sister AC 101.5 KPLA will pull double duty as morning host. Cathy Evans will host midday with nights and overnights filled by the syndicated CMT Radio Live with Cody Alan and Kickin’ With Kix Brooks. The move to Country places KBBM in competition with Zimmer Radio’s market leading “Clear 99” KCLR and KXEO Radio’s “Country 96” KWWR. KBBM becomes Cumulus’ 18th Nash branded station. Update 10/7: After simulcasting this weekend on both frequencies, 100.1 KBBM has shifted to Christmas music as “Santa 100.1“. This move brings the amount of Christmas music stations in the country up to three. In past years Cumulus would shift sister AC 101.5 KPLA to Christmas music. Original Report 10/5: Cumulus has begun the process of moving Sports “100.1 The Fan” KBBM Jefferson City/Columbia, MO to a new signal. The Sports format has begun simulcasting on what was Country “Jeff 104.1” KZJF Jefferson City and rebranded as “104.1 The Fan“. The move relocates from the 33kW Class C2 signal on 100.1 to a lesser 5.3kW Class A signal on 104.1. KBBM flipped from Rock “100.1 The Buzz” to Sports when CBS Sports Radio launched in January of this year. The station carries the national CBS Sports lineup along with a local program “The Closers” hosted by George Young & Bryan Fulcher that is also simulcast on sister News/Talk 1400 KFRU Columbia. In the Spring 2013 ratings, KBBM registered a 1.3 share of the market, down from a 2.4 in its final book with Rock. KZJF’s numbers were not published.